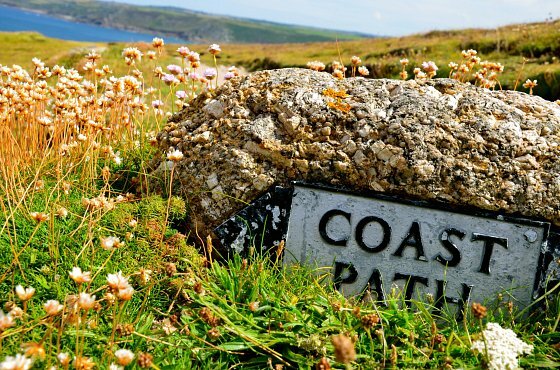 This circular walk of approximately three miles takes around an hour and a half at a gentle pace, and takes you through the sand dunes and around the southern tip of Braunton Burrows, which is at the core of the North Devon Biosphere Reserve. Its plant and animal life are of international scientific interest and over four hundred different species of flowering plant have been recorded here, some of which are very rare elsewhere in Britain but grow in profusion here. The walk then emerges onto the four mile continuous stretch of beach from the south end to Saunton Sands Hotel, which looks down from the cliffs at the north end. It begins at Broadsands car park (via the toll road) and there are no steps, stiles or gates but some gentle gradients and soft sand. Far too numerous to mention them all - do take your binoculars, camera and identification book. Amongst many other things, expect to see large numbers of gulls and waders feeding and resting on the water's edge, particularly at low tide and during winter months. Oystercatchers can often be seen too, along with smaller numbers of curlew, ringed plover, dunlin, godwits, sanderling and turnstone. In the dry pasture of the dunes grows the sand or French toadflax, a small plant with pale yellow flowers which was introduced from western France in the 1980s and grows only on Braunton Burrows - and nowhere else in Britain (not that we know of)! 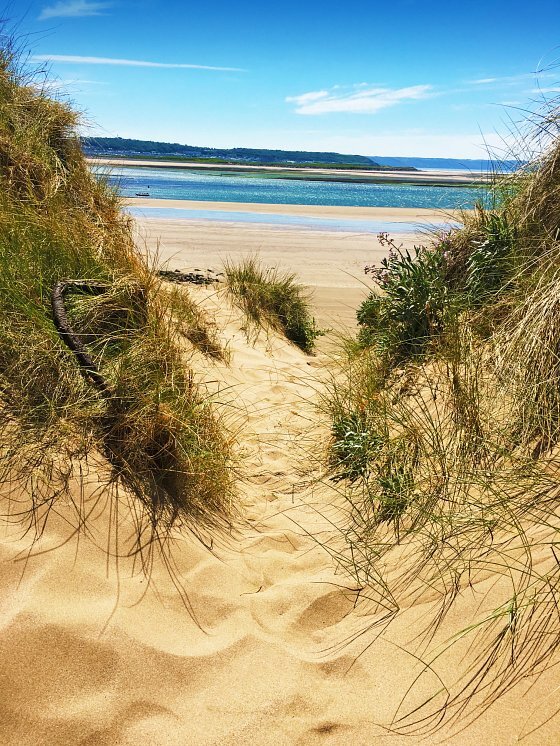 From the highest point of the boardwalk there's a good view across Braunton Marsh and the Taw estuary to Yelland and Heanton in the distance, and from the end of the boardwalk you can see across to Appledore and Westward Ho! with Hartland lighthouse and the granite island of Lundy visible on a clear day. The lighthouse on Crow Point operates in conjunction with the two flashing lights that stand at Instow, across the River Taw. There are navigational leading lights for the Taw and Torridge estuary, to guide ships around the hazardous Bideford bar, and replaced the old lighthouse that used to stand near the end of the boardwalk. It's likely that the name Crow Point derived from the lookout (or crow's nest) on a ship, rather that the bird.